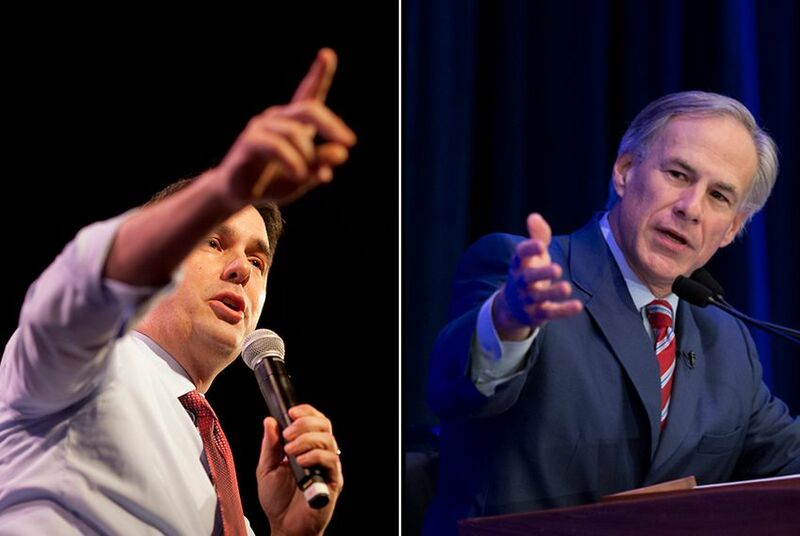 Likely 2016 presidential candidate Scott Walker is headed to the Texas-Mexico border on Friday, and Texas Gov. Greg Abbott will be there to show him the ropes. Walker's trip is part of a swing through Texas that will take the Wisconsin governor to Houston on Saturday. He is the keynote speaker at the Harris County GOP's Lincoln-Reagan Dinner, which Abbott is also slated to attend. "Gov. Walker looks forward to taking a close look at U.S. border security with Gov. Abbott," AshLee Strong, a spokeswoman for Walker's Our American Revival PAC, said in a statement. "While President Obama has failed to work with governors to address serious, ongoing concerns at the border, Gov. Walker looks forward to talking to officials on the ground about real solutions." Abbott's office said he was already scheduled to be in the area on Friday to receive a briefing from the Department of Public Safety. While Abbott is not yet playing favorites in the 2016 GOP presidential primary, he has expressed an interest in schooling potential candidates on an issue close to home: border security. "Gov. Abbott is making border security a top priority and he believes it is vital that everyone understand the challenges that Texas – and the nation – face as a result of the federal government’s failure to take action," Abbott spokeswoman Amelia Chassé said in a statement. "He welcomes anyone to come to Texas and see these challenges firsthand, including President Obama, who has yet to visit the border." U.S. Sen. Ted Cruz, who on Monday became the first major candidate to declare his candidacy, has visited the region three times since taking office more than two years ago. Cruz, an Abbott protégé, has been an outspoken critic of Obama’s immigration policies, including the executive action Texas is now seeking to reverse in federal court.